Oracle Hexproof (This creature can't be the target of spells or abilities your opponents control.) 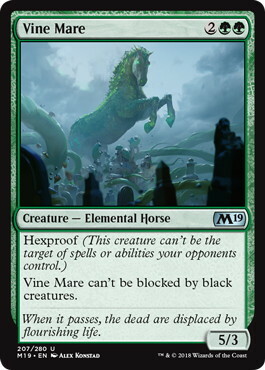 Vine Mare can't be blocked by black creatures. 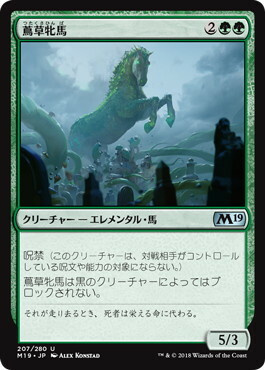 Flavor Text When it passes, the dead are displaced by flourishing life.